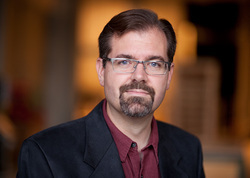 David J. McGraw is the head of the stage management and arts entrepreneurship programs at the University of Iowa. From 2003 until 2011, Mr. McGraw served as the Production Stage Manager for both the Theatre Arts Department and the Iowa Summer Rep. In 2008, he designed the Performing Arts Entrepreneurship Certificate in partnership with the John Pappajohn Entrepreneurial Center. Mr. McGraw is the author of "The Epoch Model: An Arts Organization with an Expiration Date," which was featured in 20UNDER40: Re-inventing the Arts and Arts Education for the 21st Century. Mr. McGraw has also been featured in the American Theatre Magazine article, "Open for Business." A proud member of Actors' Equity Association, Mr. McGraw has also stage managed for the Arizona Repertory Theatre, Capital Repertory Theatre, Geva Theatre Center, Oldcastle Theatre, Perishable Theatre, StageWorks on the Hudson, Vilar Performing Arts Center, White River Theatre Festival, and the Yale Repertory Theatre. He has also served as the Second Vice Chair of the Stage Managers Association. In November of 2012, Mr. McGraw conducted a stage management workshop for the Taipei National University of the Arts in November 2012. MINDSEYE Project Partners, an affiliate of Advancement Resources, is the video production company behind Standby Cue 101. All four creative partners, Mauria Brough, Clay Bergren, Seth Friedman, and Milinda Fraley, worked on this project. MINDSEYE's main office is in Cedar Rapids, Iowa. Jadabri Interactive, founded by Jason Bridenstine, is developing the Stage Manager Simulator software. Bridenstine is a Software Engineer with a background in video game development. Jadabri Interactive was founded with the goal of bringing video game development methodologies into simulation based education. The upstate New York electronic music duo Do Kashiteru (Sander Moolin and Jason Calhoun) created "The Annual New England Xylophone Symposium," the theme song for Standby Cue 101. Visit their website for more information on their work and samples of their other compositions. Special thanks go to ccMixter, a Creative Commons-based music website, for connecting SM-Sim and Do Kashiteru.